I just celebrated my 6 month Mauiversary last week. How did I celebrate? By going to the Maui Onion Festival, of course. Six months is a good milestone of actually living somewhere - for the first two months, I felt like I was on an extended working vacation, especially since I was living in a hotel. 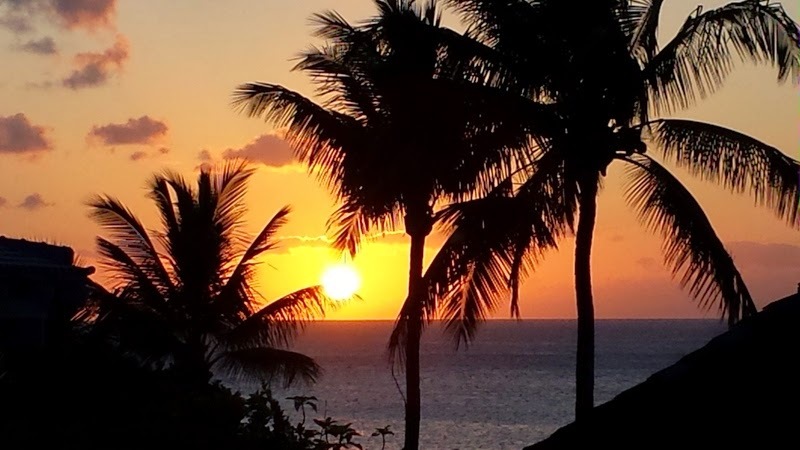 With no particular rhyme, reason or theme, here are 10 more things I've learned moving from the mainland to Maui. 1. Ohana (family) is a real thing. From my neighbors bringing me magazines when I was home sick, to a co-worker scouting out furniture and texting me pictures each time he went to Costco, I have found that people do look out for each other. You greet almost everyone with a hug and a kiss on the cheek. This morning at the Charity Walk I ran across a co-worker in the middle of the event and we paused to hug it out. 2. Online bill pay with mobile deposits was a life saver for me I was able to keep my direct deposit the same and keep all my e-bills in line. The challenge with not having a local bank on island is depositing a check. I know you're thinking, people still get checks? First time filing Hawaii income tax - couldn't set up direct deposit. Checks coming from the sale of my house in Colorado (insurance, HOA, electric)? They pop those in the mail. I only had one check that I couldn't deposit on my phone due to the amount. Kicked it old school and did the bank by mail thing. 3. It's shave ice. Not shaved ice. Not a sno cone. Shave. And so ono with the great local fruit syrups. 4. New foods abound! Pansit, Malasadas, Lumpia (savory and sweet), Saimin, Drymin, Kalbi ribs, Musubi, Kulua Pork, Pineapple with Li Hing Mui powder and more. Good sushi is everywhere, even the grocery store. Also coffee. Ahh. Coffee. 5. Watching the sun set over the ocean never gets old. I see it from work. The gym. The side of the road. The beach. My lanai. I can't count how many sunset pics I've taken in the past six months. LOTS. 6. My concept of time has changed. I live significantly closer to work than I did in the past. My door to door trip is less than 15 minutes. So if I have to drive more than 15 minutes to go somewhere, I think long and hard. My friends and I deliberate do we really *need* to go to the "other side." That's right. Going to Walmart, Costco, Whole Foods or Home Depot requires a strong commitment. A 30-45 minute drive each way. And in Maui time that's a long trip just for errands. My commute to work in Denver via light rail was at least 35 minutes. How did I do that for so long? 7. After dark, the island gets pretty sleepy. So many activities are outdoors and on/in the water. When the sun goes down, it's time for dinner, drinks, movies/tv, reading, or errands. On the flip side, people are willing to get up early to do something at first light to beat the heat or to watch the sunrise. Morning, why do you have to come so early? 8. A lot of things are more expensive. I had to get over it and move on. Almost everything is imported, so the prices are higher. A gallon of milk may be $6. A dozen eggs $4. My favorite Coffee Mate Natural Bliss creamer is always $5. Just like on the mainland you balance, do I need/want this now, or am I willing to wait for it to go on sale. When it comes to restaurants, it depends on whether they cater to tourists or residents. My friends and I tend to look out for happy hour specials or restaurants that offer kama'aina discount. 9. A trip to the beach is good for your health (Huff Post says so, right here). I love that I can walk to water in 10 minutes and can see it from my house. I'm not an all-day sit at the beach person, but I love going for an hour just because it's right there and it feels good. Exfoliation and skin elasticity are just a bonus. 10. The essentials for almost any activity on Maui? Sunscreen, a hat, and slippers. (slippers are flip flops) Very few things require anything more formal than something to cover up the swimsuit/boardshorts that you had on for your earlier trip to the beach. Those random suit coats from my last job? Why did I bring them? If/when I move back to somewhere with a more conservative dress code, it will be time to get new ones. Even the thought of a structured dress code seems like too much. These are just a few of the adventures I've had exploring my new home in the past 6 months. Enjoy! And here are the 10 things I learned last fall about moving to Maui - in case you're thinking of it.